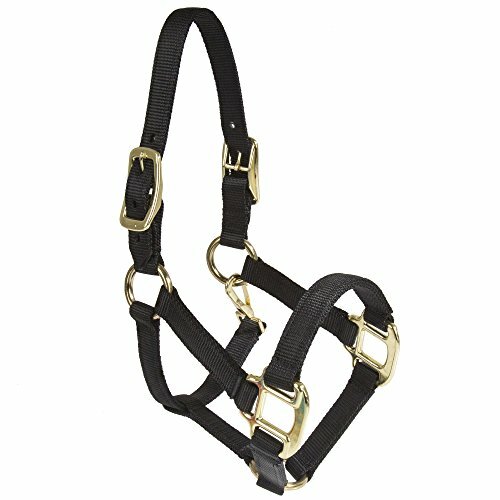 Attaches to your own leather or breakaway halter. Reduces food intake yet allows your horse to graze naturally. Voted best buy and editor's choice in the Horse journal. 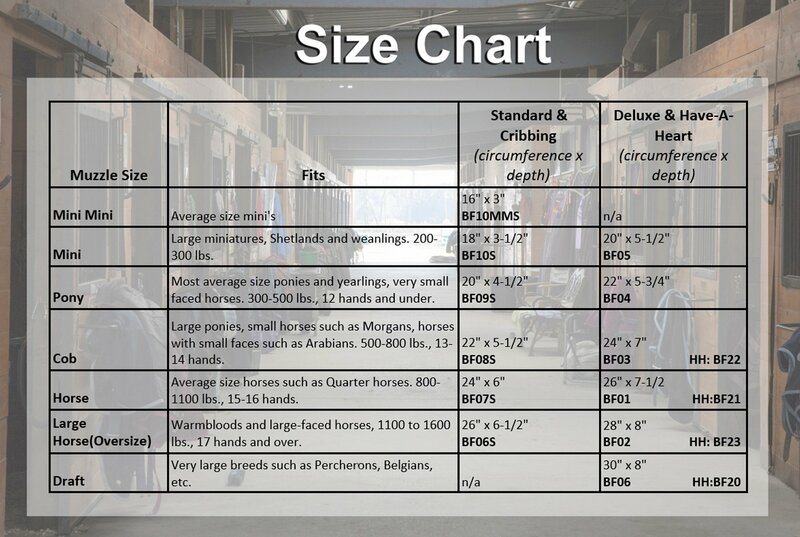 Good choice if you horse is hard to fit. 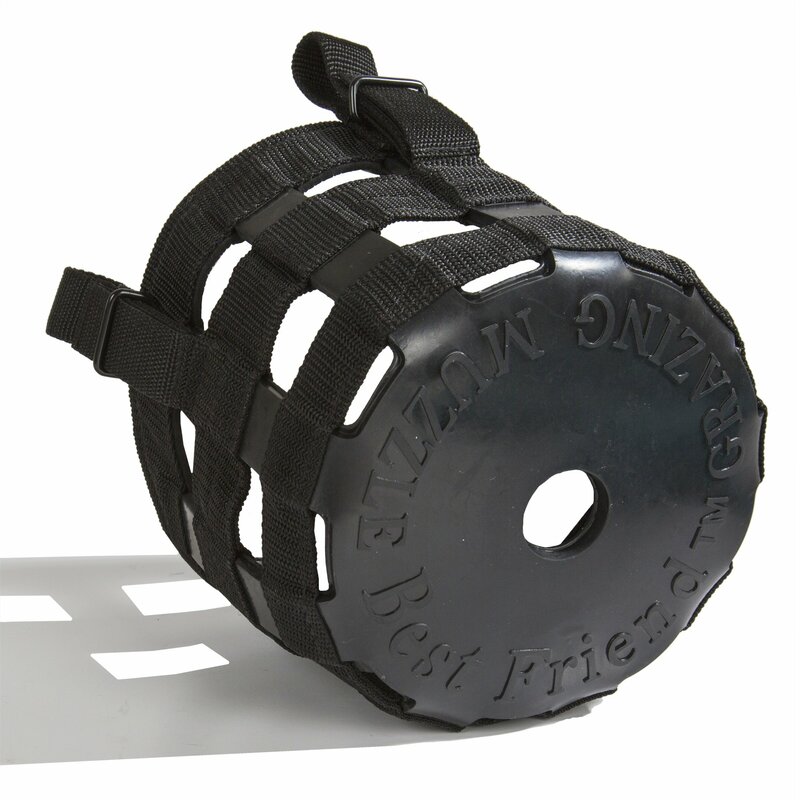 The Best Friend Grazing Muzzle is a combination Grazing Muzzle and breakaway halter all-in-one. 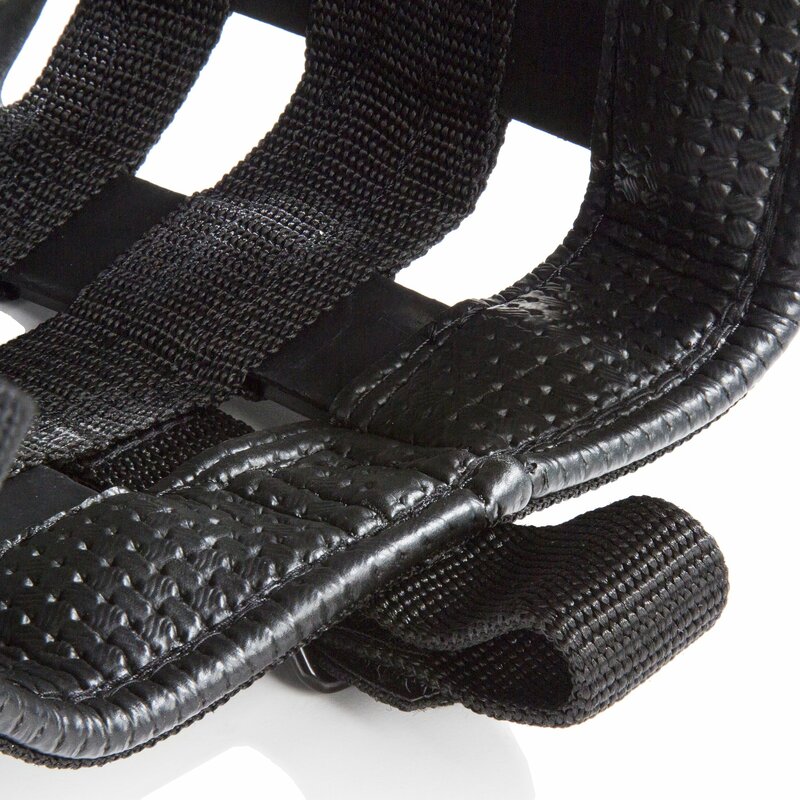 The design utilizes a plastic side-release buckle as its breakaway feature. 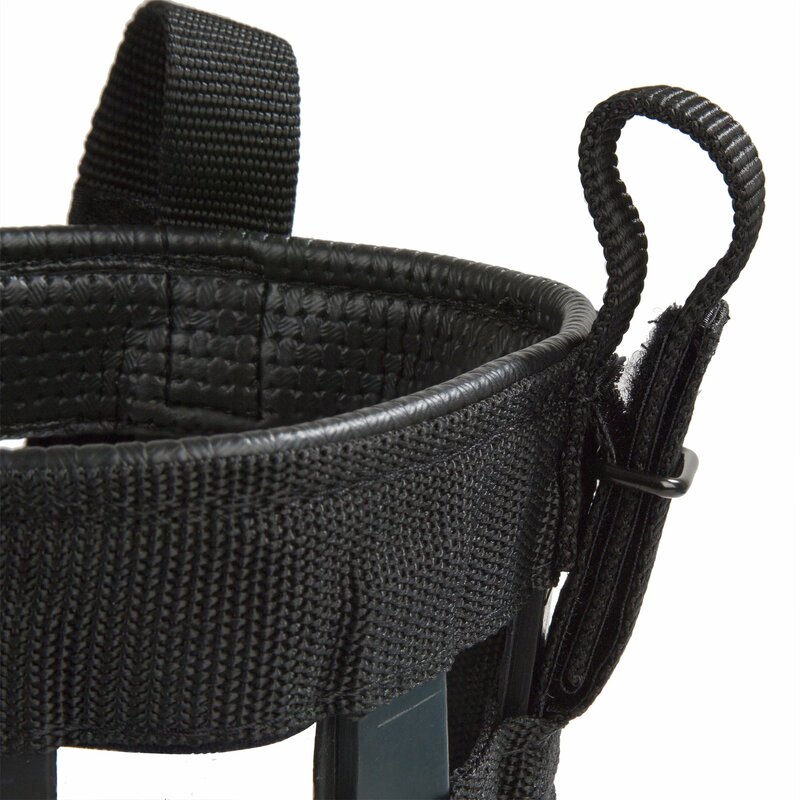 Each muzzle comes with a spare buckle that can be easily attached in the field. 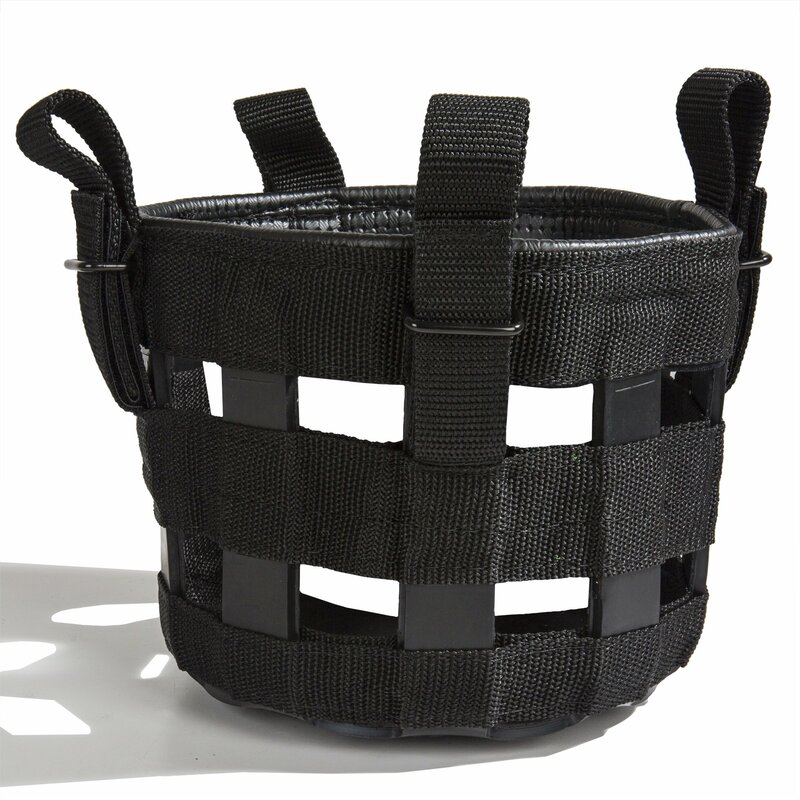 To use, adjust The Best Friend Grazing Muzzle to the horse using the same principles as the fit of a comfortable halter. 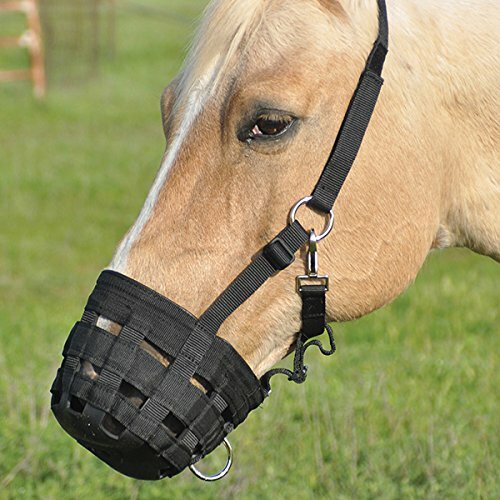 Leave approximately one inch between the horse's mouth and the bottom of the muzzle. 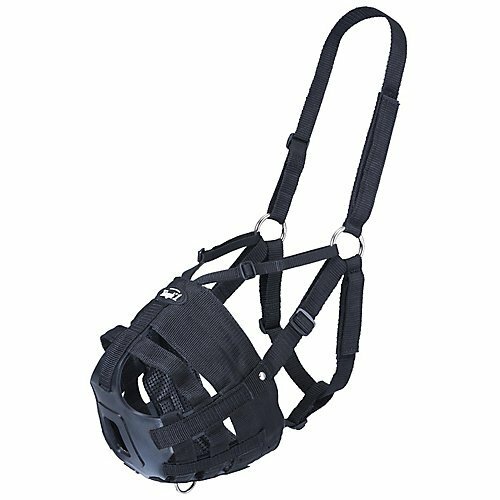 The muzzle has a roomy fit to allow for chewing. 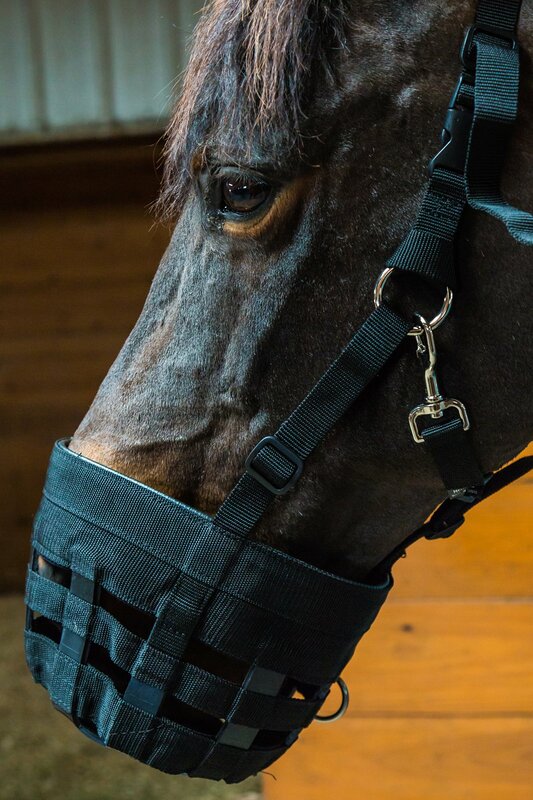 You should be able to fit two to three fingers sideways between your horse's face and the muzzle. 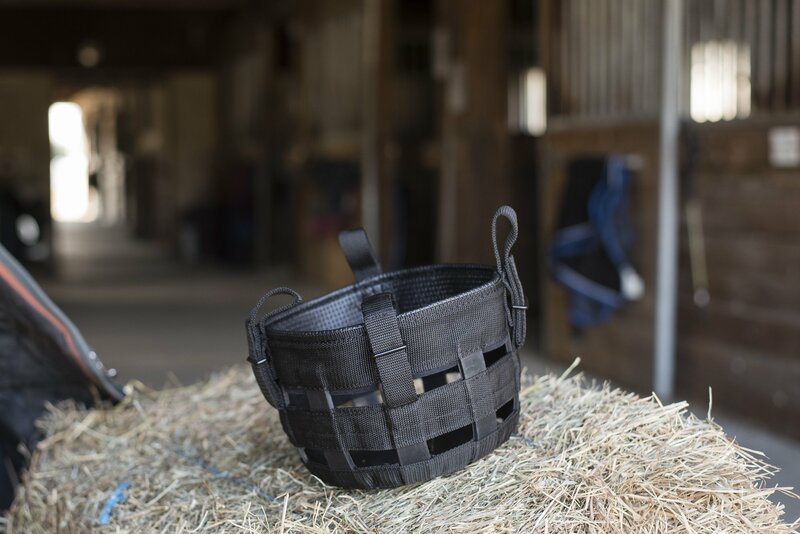 This is our most popular design, easy to use and costs less than purchasing a separate breakaway halter. Black.